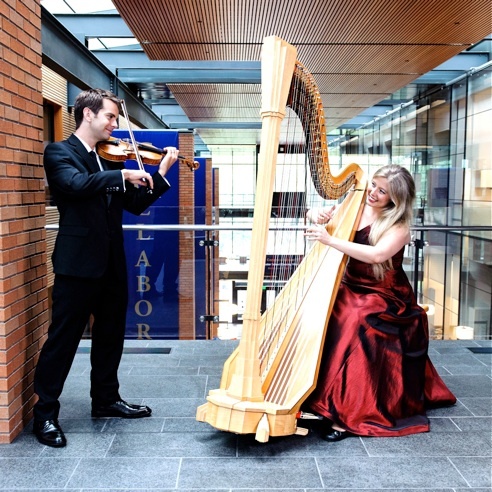 Cascade Duo provides beautiful music for weddings and special events throughout the Pacific Northwest. Formed in 2004, Jason Moody and Earecka Tregenza perform an extensive repertoire of music specifically arranged for harp and violin. Our library contains many of the most loved pieces from classical, popular, religious and Celtic genres. In choosing the Cascade Duo, you are hiring accomplished professional musicians who tailor a unique program for your special day. Our experience and attention to detail ensure seamless integration with your ceremony and unforgettable music to accompany your event.